This week, we have some healthy holiday dishes for your parties and meals. First up is a guilt-free appetizer, Turkey Cranberry Meatballs. 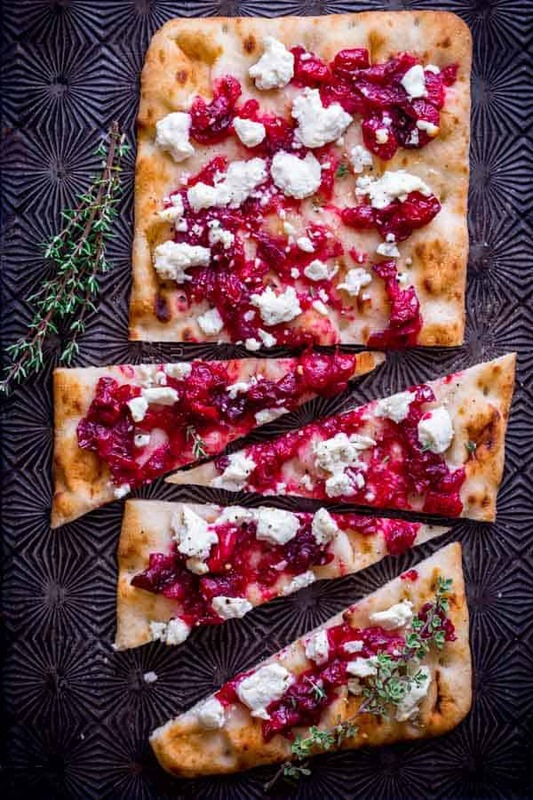 These easy Roasted Cranberry and Goat Cheese Flatbreads are like holiday pizza. Cranberry Pecan Mini Goat Cheese Balls help you keep your holiday portions under control. One Pan Cranberry Balsamic Roasted Chicken is a simple meal for holiday entertaining. Balsamic Roasted Brussels Sprouts with Grapes & Figs are the perfect holiday potluck side. Hearty Caramelized Onion Apple Sausage Stuffed Acorn Squash is great for holiday guests. Make holiday dessert easy with Baked Pears with Honey, Cranberries, and Pecans.